E3 rolls around every year, and with each passing convention, the graphics in game trailers just seem to get better and better. In 2006, the UK’s Advertising Standards Authority (ASA) upheld complaints that pre-rendered CG trailers were “misleading,” making many wonder how much game publishers would lean on fancy cutscenes to sell their games. The truth is now that pre-rendered CG and in-game engines are becoming closer and closer in quality, nobody needs to rely on those “misleading” cutscenes any longer since gameplay can be made to look nearly as beautiful, rendering the ruling outdated. However, in a trend that sadly has been popping up more often than it should, publishers and developers have stretched the truth of what their game is truly capable of and displayed gameplay that far exceeds what is technically possible on the average person’s gaming devices. Once E3 is wrapped up and we are no longer lost in the moment, the coming months see more trailers and screenshots. Some hold up, but other games slowly, but surely, start to lose their luster. The game’s release date finally arrives, and when you pop the game into your console for the first time and turn it on, you realize that it doesn’t look a thing like what was advertised. Fancy lighting changes. Enemy AI no longer works. Geometry and level design look entirely new. What could be the problem? You looked at the screenshots and watched the trailers and got yourself hyped. This simply isn’t the same game, and now you are feeling duped for buying a product below the quality of what was advertised. Sadly, this occurrence has reared its head one too many times over the last year to our liking, and here are a few of the growing list of infamous cases. The poster child of misrepresenting a game. SEGA first sold this attempt at the Aliens franchise with nothing but sky high dreams. Amazing graphics and atmosphere was only the beginning of what they were promising. 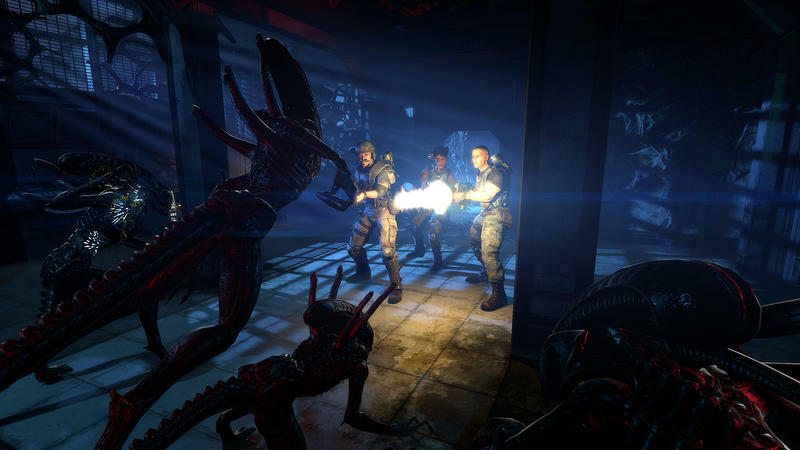 Aliens would feature unscripted AI which would allow them to sniff and find you through any air duct in the game’s setting, giving the game a sense of unprecedented unpredictability. SEGA’s lofty goals and expectations received an extra boost of confidence once the press got a hold of the game’s demo at conventions which proved that they had made their promises come true. Creepy atmosphere lurked in every corner, as did the vile aliens who hunted your character down just as SEGA had described. Then the game hit development hell as it fell into the hands of several different studios. Aliens: Colonial Marines was released to horrible reviews and is regarded as one of the worst games of 2013. All of its ambitions gone, the developers had managed to turn what was promised to be a masterpiece of software into “another bug hunt.” Mindless shooting, stupid aliens, boxy rooms. Nothing of the amazing demos, which were revealed to be specially built for conventions, remained. We’re still not sure who to blame for this fiasco. Gearbox Software, Nerve Software and TimeGate Studios have all pointed fingers at one another, but it was SEGA who broke the silence, claiming responsibility and promised to do better. Just to show what kind of reputation this practice can lead to, SEGA has a new and brilliant looking Alien game in the works from The Creative Assembly called Alien: Isolation. In fact, the hype sounds not so different from Aliens: Colonial Marines, but since SEGA is still a lingering stink, this new game isn’t nearly getting the attention or praise it might deserve. Can you blame people for not getting hyped over this? We recently reported on an apparent downscaling in the graphics of the critical hit, Dark Souls II. Fans on NeoGAF produced many comparison screenshots and videos from the reveal trailer, TGS and E3 demos, beta test, and final retail build, all of which unmistakably showing that the game suffered a significant downgrade in graphics over the course of its development. 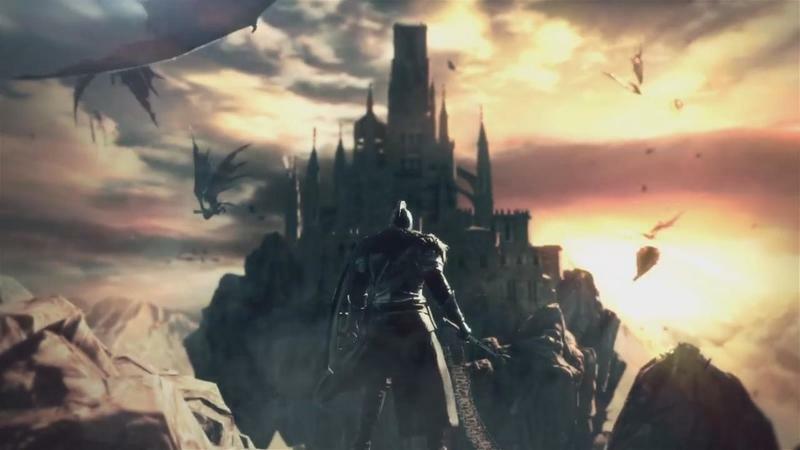 A viral campaign looking for answers as to why the graphical change was not advertised or made known until after the game’s launch managed to reach developer FromSoftware, who blamed it on the difficulties of the developmental process. “Throughout the game development process, a game is constantly being balanced not only in game playability, but also in the realm of resource management. Underneath the flowery language, he basically states that the rapidly aging power of the PlayStation 3 and Xbox 360 was unable to live up to the intentions From Software has originally envisioned, and the graphics suffered because of that. Nobody had questioned that fact. What remains unknown and addressed still is why the trailers did not reveal the changes until the 11th hour. Why was a potential PC build used on a PlayStation Access channel? Why was the dolled up demo at conventions able to run something resembling the reveal trailer’s graphical style? Why does the game’s box advertise the reveal trailer’s graphics? 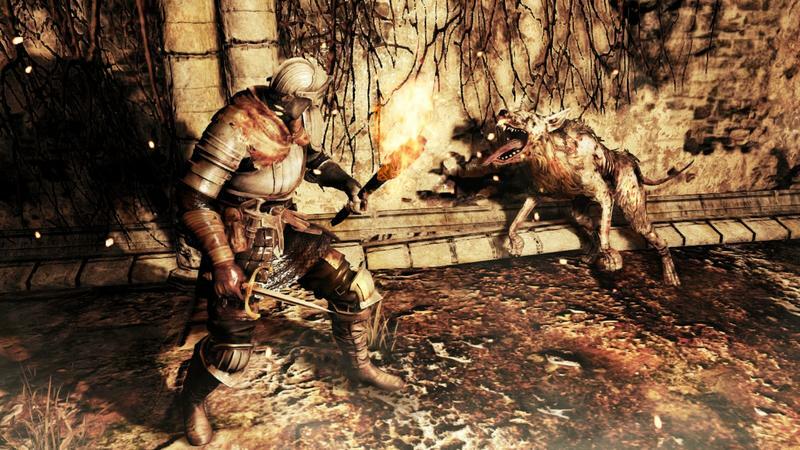 Most importantly, which seems to be the main cause of concern for fans, will the PC version reflect From Software’s original vision or will it suffer from the same “resource management” as its console brethren? Had many console gamers known about the changes, most claim they would have been happy to wait out the final month to pick up a potentially superior version. Fortunately for From Software and Bandai Namco, Dark Souls II has been nothing short of a critical success and has escaped the fate of Aliens: Colonial Marines because it is still a competent game. Many gamers are willing to overlook a graphical downgrade as long as the gameplay holds up, but others who prefer style along with the substance have been unable to get past what they describe as promises coming up short and a flat environment. Does good critical reception negate the fact that this game was oversold during its marketing? What hasn’t gone wrong during this unfortunate game’s development cycle? Fraudulent trademark abandonment, untimely delays which push it well beyond the next-generation launch window, rumored cancellations of the Wii U version. The last thing Ubisoft needs needs is a graphical downgrade controversy. However, that’s just what has been happening over the last few weeks. The more and more of this game we see, the further and further it looks from its impressive reveal. What was once a vibrant and exciting city, set to define what the next-generation consoles were capable of, has slowly become a re-rendering of everything we’ve seen from the past ten years. Fans pulled comparison videos from the trailer and compiled them side by side with the reveal trailer, and it looks none too pretty. Ubisoft Montreal Creative Director Jonathan Morin claimed that Ubisoft displayed the PC build at E3 2012 and the comparisons were being drawn between the inferior PlayStation 4 build, saying that the two different versions have always been different and that fact was never hidden. No downgrade, just using the best version to advertise them all. Later, Morin came out to EDGE Magazine once the loud voices refused to die down, claiming that Ubisof’s CEO “forced” him to show of a souped up early version of the game before the team was ready. 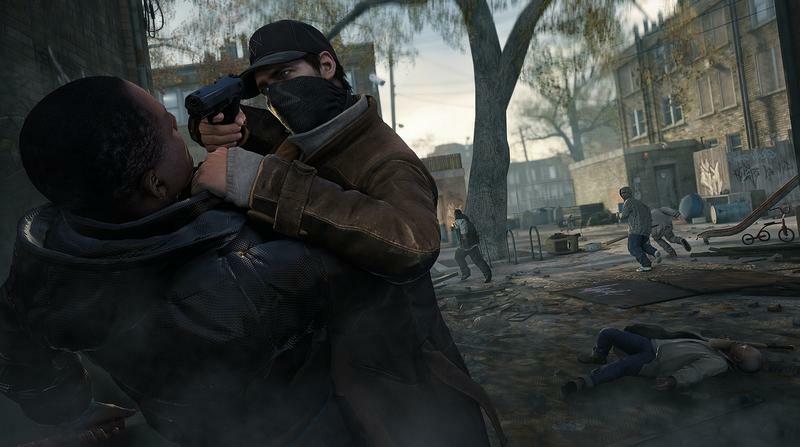 The early reveal garnered a whole extra level of hype for Watch_Dogs, and the PC version’s trailer made it the second most pre-ordered game of 2013 across all 6 platforms. This was revealed even before Ubisoft had any idea of the capabilities of the next consoles, meaning the PC version had been used to sell PlayStation 3, PlayStation 4, Xbox 360, Xbox One and Wii U versions. Luckily, gamers caught on to this before it hit the shelves, so if they feel duped, they will find it a bit harder to pin the blame entirely on Ubisoft. If you see a PC build trailer on a game website or at a convention, is it your responsibility to know the difference between it and the console version you intend to buy? Is it your responsibility to know if you are even looking at a PC version? Savvy gamers will know where to find the answers to that, but now that gaming is expanding into the houses of mainstream people who don’t know the difference, a whole lot of people won’t be so lucky. While not as high profile as the previous three examples, a small group of fans are displeased with how inFamous: Second Son looks in comparison to the E3 reveal. Comparison shots from DualShockers showed a different set of lighting and particle effects present in the reveal trailer at last year’s E3 and the most recent trailer. Even more jarring is the quality of the characters faces, which take a generational leap from shot to shot. Developer Sucker Punch issued a statement saying that it was the time of day during the filmed the scene that caused the builds to look so vastly different. Definitely no visual downgrade of graphics since then! We put that particular area in sunset instead of sunny time of day so that it matches the mood of narrative better. 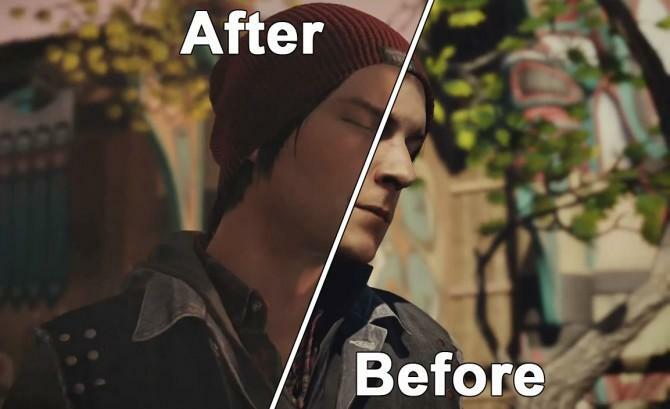 Sucker Punch even debunked the argument by illustrating how much their lighting engine during different times of the day can change the entire look of a game. The studio’s findings were convincing to some, but many still had doubts and found it hard to trust the screenshots provided. This is the mistrusting atmosphere which misleading trailers and “bullshots” can create, and hopefully this is how it can be rectified. Fans reported to Sucker Punch on what they saw, and consider them lucky to even get such full fledged response to clear the air. Otherwise, if the graphical downgrade had occurred, inFamous: Second Son would be the first game to not have the excuse of cross-generation builds or multiplatform versions to hold back the software built for a specific machine. Who do you trust? Your own eyes or those of someone else? Keep in mind that these are just recent examples. I left off minor cases like BioShock Infinite and The Last of Us since those didn’t drastically change the appearance too much and didn’t catch on until months after release. This is a business, I get that. The most important thing overall is to sell a product and turn a profit at the end of the day, and the best way to do that is to make your game look as pretty as possible so people will want to buy it. With the rapidly growing graphical capabilities, cross generation technology, and limitless potential of PCs, different builds and graphics are bound to get lost in the mix, and many are bound to be confused with one another. We are dealing with seven viable HD platforms these days, and we need a standard and accountable set of rules to make sure that people know exactly what they are buying. Whose job is it to distinguish between all these different versions? Should gamers naturally assume that the PlayStation 3 and Xbox 360 versions are not going to live up to what might be advertised anymore? Should we just naturally assume the PlayStation 4 and Xbox One versions will always be inferior to the PC versions? Should publishers take more responsibility in overselling early and not setting expectations as unreasonably high? Games start with grandiose ideas, but not all of them are obtainable, case in point dating all the way back to Fable. Is it acceptable to continue blaming the difficulties of game development if studios can’t learn their limits time and time again? Should demos more accurately reflect the faked reveal trailer which got people pumped or the final product that will be hitting shelves? People actually play those games. They don’t play the trailers. We are at a crossroads in gaming technology, and there is a lot of gray area ahead as we push forward into a world where consoles, PCs, and dev kits don’t really differentiate that much from one another. Advertising a PC build on a PlayStation channel is a questionable tactic, just as is building a demo that will not resemble the final product. It is important to lay the ground rules now for what is acceptable and what crosses the line into straight up dishonesty. It is also important to remain vigilant and keep instances like these in check and keep the playing field level so developers can continue to make good games, publishers can make honest money, and gamers can feel the satisfaction all paying customers deserve. Man, do I miss the simple days of the Super Nintendo.